Government Will Test And Collect Data From New Drone Programs In 10 States : The Two-Way "Data gathered from these pilot projects will form the basis of a new regulatory framework to safely integrate drones into our national airspace," Transportation Secretary Elaine Chao said Wednesday. A flock of drones flying against a sunset. On Wednesday the Department of Transportation announced the launch of a pilot program that will lead to new regulations. After combing through 149 applications from state, local and tribal governments seeking to partner with some of the world's leading technology companies, Transportation Secretary Elaine Chao announced the winners Wednesday. The 10 are: Choctaw Nation of Oklahoma; Durant, Okla.; City of San Diego, Calif.; Virginia Tech's Center for Innovative Technology, Herndon, Va.; Kansas Department of Transportation, Topeka, Kan.; Lee County Mosquito Control District, Ft. Myers, Fla.; Memphis-Shelby County Airport Authority, Memphis, Tenn.; North Carolina Department of Transportation, Raleigh, N.C.; North Dakota Department of Transportation, Bismarck, N.D.; City of Reno, Nev.; University of Alaska-Fairbanks, Fairbanks, Alaska. "Our country is on the verge of the most significant new development in aviation since the emergence of the jet age," Chao said at a press conference, according to CNET. "We've got to create a path forward for the safe integration of drones if our country is to remain a global aviation leader and reap the safety and economic benefits drones have to offer." The purpose of the two-and-a-half-year program is to help the DOT and the Federal Aviation Administration craft new regulations that will allow drones to fly at lower altitudes and along high-traffic flight paths. "Data gathered from these pilot projects will form the basis of a new regulatory framework to safely integrate drones into our national airspace," said Chao. AirMap, a startup airspace management platform for drones is included in six of the trials. In Kansas, the company will be involved in package delivery, disaster response, agricultural surveying, and short line and nuclear power plant inspection, the company said in a statement. Its partnership with the Choctaw Nation will involve testing weather effects on drones, package delivery, herd management, utility and infrastructure inspection, public safety and development of drone traffic management. Other companies that will be testing ways to deliver goods using small drones include Zipline, best known for delivering blood to hospitals in Africa; Matternet, a company that delivers medical supplies to hospitals in Switzerland; Flirtey will test the delivery of medical equipment, including defibrillators, epipens and opioid overdose antidote medication. One major player that was excluded was Amazon. But Chao, who said there were "no losers" Wednesday, encouraged companies to grow their businesses under the current FAA rules. "I have asked the FAA to reach out to many other applicants in coming months and weeks to talk about how they may be able to move forward with their proposals," she said. The public-private initiative has been strongly backed by the White House as a way to accelerate the approval of operations that currently require special authorizations. No federal funds will be spent on the program. 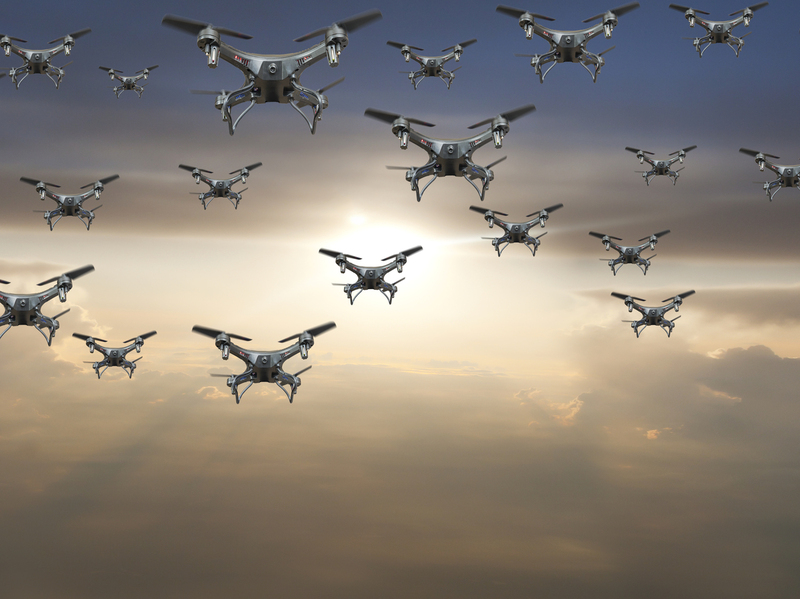 The DOT's economic projections for the drone industry are high: "In less than a decade, the potential economic benefit of integrating [unmanned aircraft systems] in the nation's airspace is estimated at $82 billion and could create 100,000 jobs" by 2025. The department said the chosen programs will be charged with gathering drone data on operations the rules currently prohibit, including night operation and flights beyond the pilot's line of sight and over people.